That title isn’t simply a statement pulled out of nowhere. 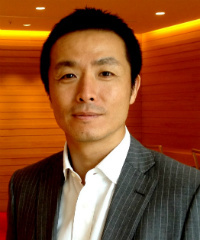 The gist of it was expressed during a roundtable discussion held during the Rakuten Expo 2013. It’s nothing new, but it does bring to mind the level of competition Malaysians bring to the online shopping scene. Not too long ago there was a glut of online blog shops. It was mostly done with the initiative of individuals who wanted to make a little extra money on the side. These kinds of online shopping sites don’t require much technical knowledge to start or maintain; while limiting payment options to cash-on-delivery also greatly reduced the amount of back end infrastructure needed. Of course, blog shops are extremely small scale and the popularity cannot be applied to a full blown e-commerce operation. However, Masaya Ueno, President and CEO of Rakuten Online Shopping Malaysia points out that it hasn’t already occurred to most local businesses to build an online presence. Plus, those who have had the idea to get online face the problem of not knowing where to start. Those that do put together an online store often have no idea what they are doing. 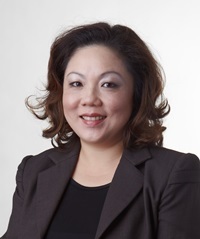 Shylendra Nathan, Head of Telecommunications, Technology and Retail, Google Malaysia expressed it succinctly as the “spray and pray” approach. Essentially, local businesses fail to create a niche for themselves and eventually fade away into the dark reaches of the internet. It’s not just a lack of technical knowledge or understanding of e-commerce that holds businesses back. The amount of news that appears about identity theft and stolen credit card numbers does nothing to inspire confidence in online shopping. Despite all this, the choice between building an online presence or not is like choosing cake or death. Consumers are very much searching for information on the internet; behaviour that influences their purchasing choices. Simply put, if people can’t find information about products it won’t occur to them to buy the thing. This isn’t so much a problem for most technology based companies. The internet is very much their home field. That being said, the issue of not knowing that they are doing is still a large problem. Take the Dell online store for instance. A couple of years ago it was one of the best places to buy Dell notebooks without having to leave the house. The interface was clean and easy to use; plus it featured a set of very helpful filters. 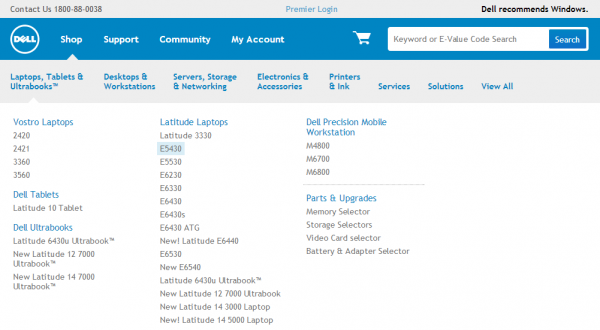 Right now, the Dell online store is but a shell of its former self. Gone is the ease of use, and frankly, most of the inventory. The drop down menus look like something out of the 90s, and are confusing unless you know precisely what you are looking for. But you probably won’t find it because it’s not on the site. Dell, if you are reading this, please restore your old store. It worked better that way and everyone was happy. This issue isn’t confined to Dell. Every other electronics manufacturer needs to improve their websites. At the very least provide some a price list so consumers have an idea of how much things should cost; even if you don’t have the intention of setting up a store on the internet. It would save everyone a lot of time. Credit where it is due, Sony’s online store is actually quite decent. However, it would be safe to say that most electronics are sold through distributors. Thus, making it easier to concentrate marketing and promotion efforts. Building an online presence also applies to traditional brick and mortar stores. It may look like a distraction from the main idea of selling things from a store; if only because they run the risk of losing more physical sales making the manager look bad. The truth is, an online presence complements the main business. Yau Su Peng, COO of Berjaya Books (owner of the Borders bookstores), pointed out that failing to have an online presence would be failing to optimise their own reach. The only question left is a matter of how much investment to put into the effort. 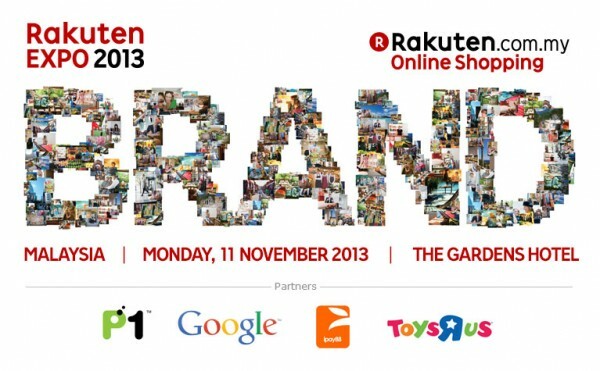 Borders is now partnering with Rakuten to provide an online shopping experience for their customers. A move that is being promoted as the best possible move for the brand. Nevermind that the Borders Group from which the brand is licensed offloaded their e-commerce efforts to a shortlived partnership with Amazon. Shortlived because the company lost USD1 billion in profits over four years. The results of this partnership will be seen in due time, but it goes to show that even physical bookstores cannot afford to remain offline. Doing otherwise would cause them to lose out to anyone else who decides that Malaysians should be able to order online books from a local retailer. Also, MPH bookstores launched their own online store last year. Notably, it is a wholly internal matter and doesn’t involve a partnership. There is something to be said about keeping up with the competition. Nathan concluded his part on the panel by saying that local retailers understand brick and mortar sales very well, but still find it a challenge to translate that knowledge into e-commerce. However, it is much too late to not be online. Consumers are already searching for you online. While the round table focused mainly on the e-commerce part of the internet, the comments can easily be applied to the rest of the internet. It’s not just about selling things, it’s about letting people know that you exist.